Machinists Union members joined more than 300 working men and women who volunteered to travel to San Juan, Puerto Rico from Newark, N.J. to help with Hurricane Maria relief efforts. The flight, a Machinists Union-built Boeing 777-300 ER, was volunteered by United Airlines for a business and labor partnership. It is a response to the urgent need for highly skilled workers to come to Puerto Rico to assist with the rebuilding effort and help people in need of medical and humanitarian assistance. Machinists Union members joined other members from the AFL-CIO, the Association of Flight Attendants (AFA), the Air Line Pilots Association (ALPA), and United Airlines who teamed up to fly the more than 300 first responders and skilled volunteers — including nurses, doctors, firefighters, electricians, engineers, carpenters and truck drivers — to help with relief efforts and the rebuilding of Puerto Rico. Today’s flight is just one of many where IAM members have been involved in relief aid to Puerto Rico. 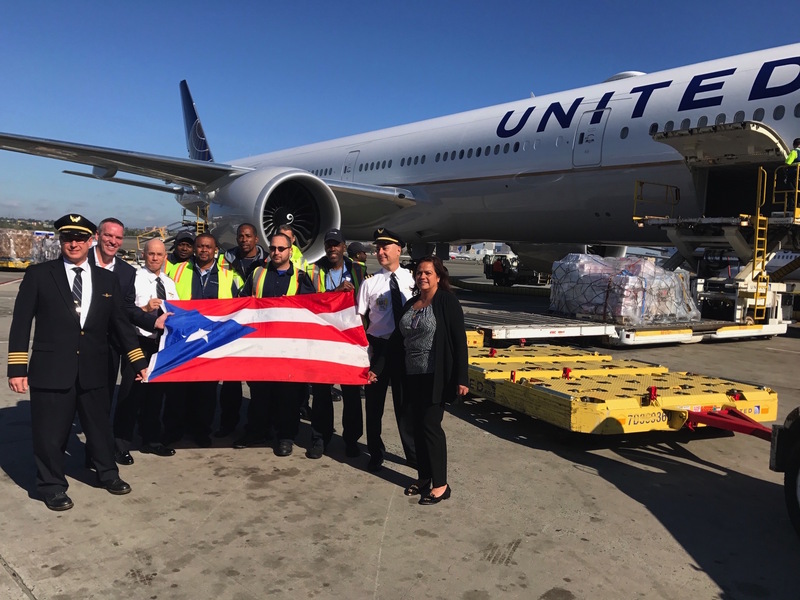 “IAM District 141 is providing additional water and other relief supplies that will be flown on a separate United flight tomorrow to be distributed to IAM members in Puerto Rico,” said District 141 President Mike Klemm. The IAM is among the largest industrial trade unions in North America, representing nearly 600,000 active and retired members in aerospace, transportation, manufacturing, shipbuilding, woodworking and other industries. Visit goiam.org for more information.